But only specific types of water ! Water as an essential nutrient ! Water is an essential nutrient that the body needs for optimum health and wellness, but not any water. You should only drink pure water with trace minerals and with an alkaline pH if possible. Proper hydration with alkaline water plays a critical role in your health and well-being. As the majority of the foods we eat, like processed foods, alcohol and soft drinks, create toxic acid waste tht gets stored in our body systems. The "Acid Waste" from the modern lifestyles we lead, the food and drink we consume, the stress in our lives, and the pollutants we come across every day of our lives are all dumped into the bloodstream and lymphatic system and then are transported to the liver and kidneys to be removed and eliminated from our bodies. However all of this waste soon becomes too much for our liver and kidneys and the body in its wisdom to protect us from organ failure stores the waste in areas away from the organs. This is the cause of all modern day diseases like cancer, heart failure, diabetes, obesity, etc. and must be detoxed to enable the body to remain healthy. There are many ways to detox your body which is a major topic I cover in my blog postings, however Alkaline water may well be one of the best and the easiest supplement you can put in your body! The Japanese have researched this for over forty years and have found that drinking restructured alkaline water can relieve or reduce the three main causes for pre-mature aging, sickness, disease and Acidosis. ( see article on "The Cause of all Disease"). Your body is made up of about 60% – 70% water with your brain, blood, lymph and muscles predominantly water. Water is critical to life as it transports oxygen and essential nutrients to every cell in your body and removes the waste from the cells. It is essential to drink between 8-10 (8 ounce) glasses a day of water, depending on your weight and your lifestyle. If you are very active and exercise a lot you should be drinking a lot more and similarly if you drink soft drinks, alcohol or caffeine, you should drink a lot more water to counteract the toxins in these drinks. The body primarily loses water through sweating and urination and the body will become dehydrated if not replenished with the consequences mentioned above. Remember, other than pure drinking wate, you can also get about 20% of your water needs from fruit and vegetables, herb teas and freshly squeezed fruit and vegetable juices. If you aren’t getting enough water or the right quality of water, you should make an effort to start a daily routine having a glass of water at regular intervals during the day, including herbal tea and fruit. We are all fighting an excessive intake of “acid” and striving to keep ourselves "alkaline" which is the first line of defense in fighting all disease. It is worth investigating the purchase of a water ionizer. Although quite expensive in the short term, it may just be the best investment you ever make as it can be key to developing a healthy body alkaline state as the platform for a long, healthy, happy, vibrant, disease-free and active life. Ionisers not only produce alkaline water, often as high as 9-10 pH, but Ionized water is different from conventional water in size and shape. Its reduced molecular size and hexagonal shape allows the water cluster to penetrate cells and pass through our tissues more easily. A major cause of chronic disease is “acidosis” compounded by not providing the body with sufficient water to keep ourselves properly hydrated and therefore healthy. Ionised water is the most bio-available anti-oxidant available and offers you the easiest antioxidant ever, in the form of pure drinking water with a reduced molecule cluster size. 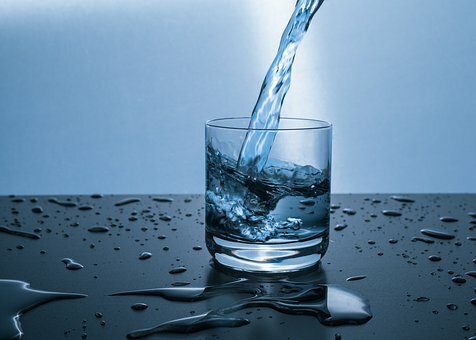 Not only does water require less digestion than foods or tablets, the reduced molecule cluster size alters the surface tension causing greater cellular permeability. Ionised water is also excellent for detoxifying your body. If you are on a Cancer healing journey then I recommend you seriously think of getting a water ioniser. As you know anti-oxidants are essential in the fight against dangerous “free radicals” that accumulate in our bodies, and are necessary to maintain good health and wellness. Next Lifestyle Choice - Nutritional Supplements or Back to "Lifestyle Choices"